Frank Dispenza was having trouble over his building even before fire ravaged it. For four months, the man who held the mortgage on Dispenza's meat market in Cambria had been threatening foreclosure, even though Dispenza said every mortgage payment had been made on time. Then came the fire Jan. 14, 2015. "No electricity, no ventilation," Dispenza recalled. "Mold was forming on stuff. It was a disaster. All the meat was gone." Dispenza filed a claim with his insurer, United Frontier Mutual Insurance Co. of Lockport. But he said the company refused to pay the nearly $250,000 claim, a decision that left him facing financial ruin. Instead, the insurer accused him of arson. So Dispenza sued the insurance company. For Dispenza, there was one more complication. The chairman of the insurance company's board of directors, David Cloy, is the man who held Dispenza's mortgage. Not even two weeks after the fire, Cloy was urging United Frontier Mutual executives not to pay Dispenza's insurance claim. Instead, Cloy wanted the money paid to him, according to insurance company emails introduced at a trial last year. Cloy did not testify at the trial. He has refused interview requests from The News and did not return repeated calls. But the fire investigator hired by United Frontier Mutual did testify, and his testimony turned into a pivotal moment of the trial – but not how the insurance company had hoped. In Dispenza's view, what had turned into an ugly dispute boiled down to clay. A lot of clay – about $300,000 worth of it. Dispenza and his wife, Rachel, bought the meat market from Cloy for $535,000, putting down $100,000, with Cloy's holding a $435,000, 20-year mortgage at 6 percent interest. The monthly payments were $3,116. The sale included a house, barns, garages and 43 acres of land. The clay on the property is suitable for capping landfills. Many western Niagara County landowners have dug up their clay for that purpose. Cloy did so on his own property next to Dispenza's property, Dispenza said. 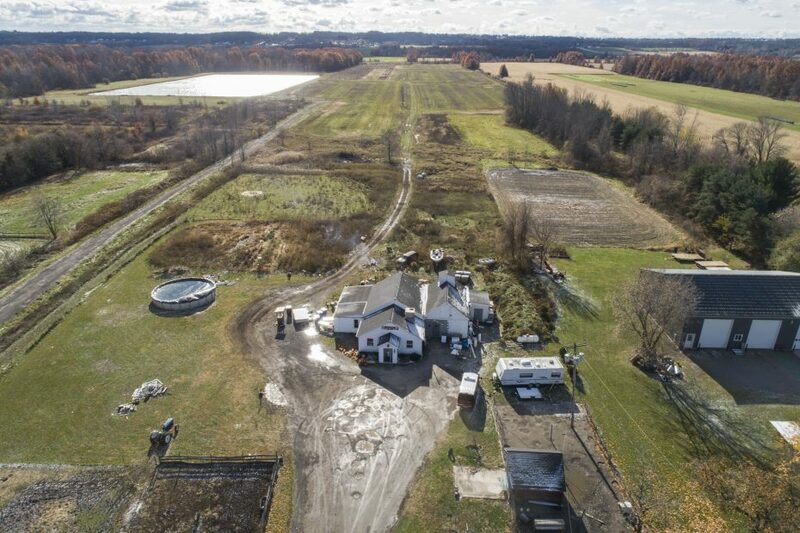 During the trial last October in State Supreme Court, Dispenza testified that a contractor estimated there is about $300,000 worth of clay on the land he bought from Cloy. On Sept. 15, 2014, four months before the fire, Dispenza said Cloy drove onto his land and handed him a letter in which Cloy's attorney contended that mining the clay would be a substantial change in the condition of the property, which would breach the contract. Dispenza said in court that Cloy told him he would foreclose if Dispenza dug up any clay. Dispenza said he told Cloy to get off his property. The following month, Cloy's lawyer sent another letter, declaring the mortgage due in full because Dispenza's Oct. 1 payment was purportedly late. It wasn't late, Dispenza said. He said he made the payment within the 15-day grace period allowed in the contract. "In his mind, he was saying we were late because he wanted to dig the clay," Dispenza testified. Dispenza, 45, a former police officer for the Village of Lewiston and the Town of Tonawanda, told the jury that he had long dreamed of owning a business. One day in 2012, he and his wife stopped by Cloy's Meat Market, 3130 Ridge Road, because Dispenza's mother had bought him a quarter of a cow and he needed it carved. "I said, 'Look at this. This would be awesome,' " Dispenza testified. Cloy's response, according to Dispenza: "Actually, I want to sell the place." The Dispenzas shadowed Cloy for a while to learn the business. Cloy had concentrated on processing animals for local farmers, but the new owners aimed for more retail trade. "He wanted me to hire him as a consultant, which I didn't really want to do," Dispenza testified. He did not put Cloy on the payroll. After the fire, with no insurance money coming, the Dispenzas had to do most of the work themselves to rebuild the business, while holding down jobs at restaurants in Lewiston and Youngstown to keep financially afloat. The insurance company questioned Dispenza not only about the fire but about the state of his business. "They would come out in the negative every year," testified Jean Petronio, the insurance company's vice president of claims administration. "Their financials were very poor." Thomas Wronski, the insurance company president, testified that Cloy encouraged him to prepare paperwork to have Dispenza's claim payment diverted to Cloy even before the company had decided to deny Dispenza's claim. Petronio testified that a letter denying Dispenza's claim was prepared weeks before the company's fire investigator wrote his report on the cause of the blaze. United Frontier Mutual already had zeroed in on the fact the fire started when Dispenza was alone in the market. "He had the means, motive and opportunity," Petronio testified. An email from Wronski to United Frontier's lawyer, entered into evidence, listed Cloy's allegations against Dispenza and his market. Cloy contended that Dispenza "begged and borrowed" from various people and that he did custom meat cutting, uninspected by the state Division of Agriculture and Markets. Cloy also said Dispenza failed to pay local farmers for animals. And there were complaints about bad meat. Dispenza called all of the allegations false. Wronski declined to be interviewed about the case. The State Supreme Court jury never got the chance to deliberate on the competing claims. That's because a key witness whose testimony was supposed to clinch the case for the insurance company all but sealed it for Dispenza. James J. O'Neill, a former Buffalo firefighter who has been a fire investigator since 1987, was hired by United Frontier Mutual. According to trial transcripts, O'Neill testified that he considered the fire suspicious from the start, and he eventually concluded Dispenza set the blaze. O'Neill said he met with the Niagara County District Attorney's Office and a state Insurance Department fraud investigator in 2015 to discuss whether criminal charges should be filed against Dispenza. No charges were filed. But United Frontier Mutual relied on O'Neill's report to reject Dispenza's insurance claim in May 2015. The fire started in a small storage room next to an electrical compressor that had been repaired the day before the fire. O'Neill said he checked with the repairman and was told the compressor was working fine when he left. O'Neill said he hired an electrical engineer to check the compressor, and the engineer ruled out an electrical cause for the fire. Petonio testified that a laboratory analysis she received found "no ignitable liquids" at the scene. "I couldn't come up with an ignition source," O'Neill testified. He even looked into spontaneous combustion of animal fat, but he ruled that out, too. O'Neill said he and Niagara County Fire Investigator Kevin Schrader concluded the fire started on a shelf attached to the wall separating the shelves from the compressor. O'Neill said the burn pattern he found on the wall showed signs of being the spot of the most intense fire. "There was a human element involved, and it was intentionally set," O'Neill concluded. Then Eric M. Soehnlein, Dispenza's attorney, began cross-examining O'Neill. Using photos of the fire scene, Soehnlein established that the intense burn pattern actually was located on the opposite wall from where O'Neill said it was. "It's not behind the shelf like you testified about earlier?" Soehnlein asked. "No, it's not," O'Neill acknowledged. "That was pretty key to your analysis here, wasn't it?" Soehnlein asked. "Yes, but ..." O'Neill said. Soehnlein interrupted, "But that was wrong, right?" After O'Neill left the stand, Soehnlein asked Justice Henry J. Nowak to order a directed verdict in Dispenza's favor. Soehnlein argued that O'Neill's mistake meant that the insurance company couldn't produce clear and convincing evidence of arson. "I don't think any rational juror could conclude that United Frontier could meet its burden," Soehnlein said. Nowak sent the jury home to give lawyers time to think about their next moves. The next day, the sides settled the case. The settlement was sealed. O'Neill declined to speak to The News about the case, saying, "I have nothing to say about that, sir." 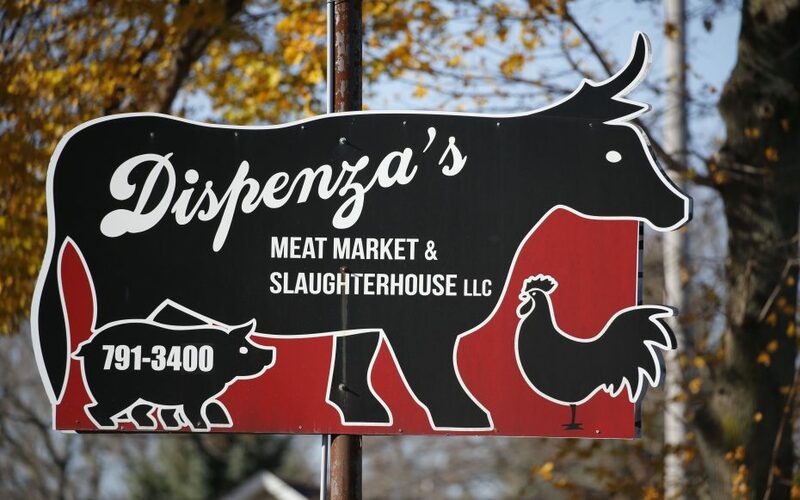 Now, Dispenza's Meat Market is back in business. "When we reopened, people were swarming," Dispenza testified at the trial. "We had to go buy meat from other markets." And how is business now? "It's really good. I'm proud of what we've done," Dispenza said.